Science has found many ways to achieve levitation. It’s still astonishing, even when you realize how it’s done. And yet, you wonder why we don’t see this more often? 1 Who is Simon Morris? 4 Flyte – bulb that Levitates… when lit! 5 How can this be?! 6 I want that too! A common enough name, but a remarkable man. During his childhood, he read a story about a flying carpet. You remember what it was like when we were kids: sitting back on the carpet, hands clasped on the raised up edge, and all of a sudden you were flying (eyes closed, so that we could see better). For Simon, it was a favorite play that remained in his memory. When he was 16, he dreamed of having a hover-board. You know, the skateboard that levitates. And he was not the only one! All the kids who saw “Back to the Future Part II” dreamed about it. Only, for him, it was more than that. Much more. Since then, his mind was set on levitation. 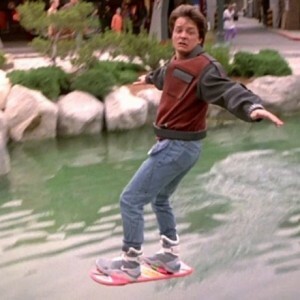 He kept striving to find a way to make a hover-board. He only managed to create a prototype, which he couldn’t even stand on. Others beat him to it. But that doesn’t mean that it was all a waste of time. Science isn’t his only preoccupation, art is also. You know what happens when you combine two different passions? Something new. Still experimenting with levitation, Simon Morris got an idea on how he could levitate pick-up discs. It’s interesting, technically speaking, because a record of this type is not a pyrolytic graphite plate, which lifts up easily. It requires a strong magnetic field produced by electromagnets. Especially that the lift is high enough so that you can put your hand under the discs while levitating. In order to complete the job, he adapted a playback head. 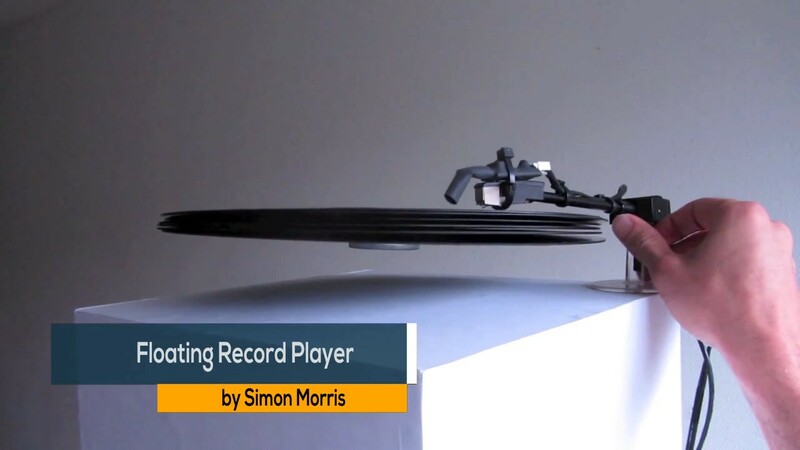 It’s true that it didn’t play exactly what was on the records simply because the precision of the rotation was slightly off, which was a result of the needle not being able to stay in contact. It’s an artistic experiment that pushes dreamer’s imagination somewhere into the future. Playing with levitation is interesting, but still… can he make something more useful? Well, Simon Morris found that levitation for advertising purposes was spectacular. And what could be more appropriate than Nike Air Max? 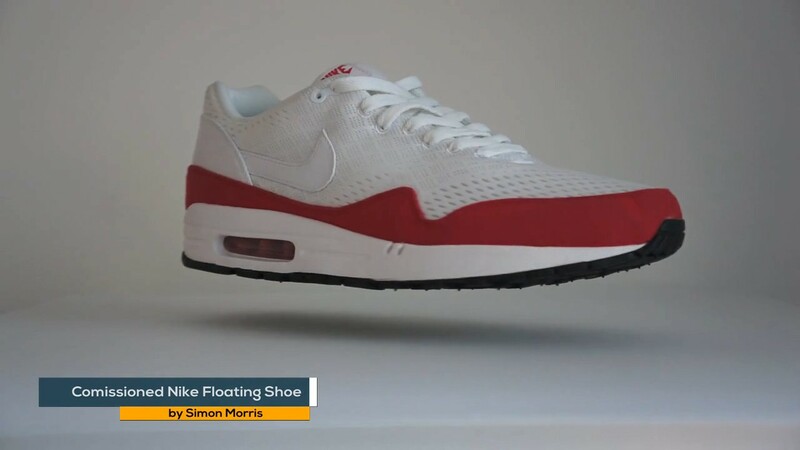 Nike representatives found the idea interesting enough to commission a floating shoe. They even commissioned a floating soccer ball. 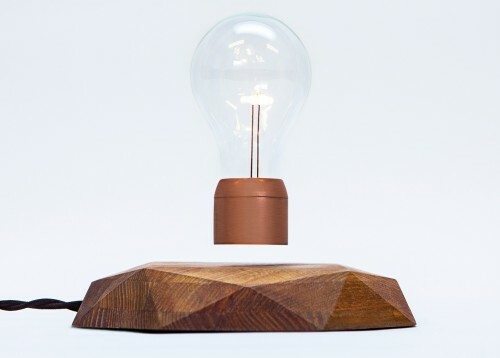 Flyte – bulb that Levitates… when lit! If that does not convince you that levitation can find a place in your life, then nothing will! 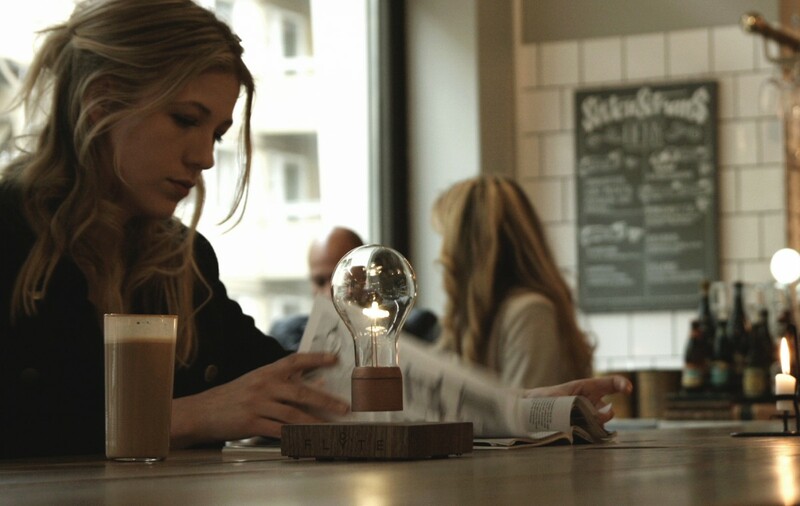 A levitating light bulb sounds simple enough to understand. Yet, you must see it to believe it exists! Frankly, did you ever think that a lousy lamp could leave you gaping?! Do you know how to change a light bulb? You’ll say that it’s a peace of cake. However, would you let your child do it? See, it no longer seems so simple. You need to take some precautions, like be careful of how you screw it in, etc. It floats beautifully. But what happens if you bump into the bulb?! Or if a power outage occurs? Goodbye levitation! You don’t have to worry too much. 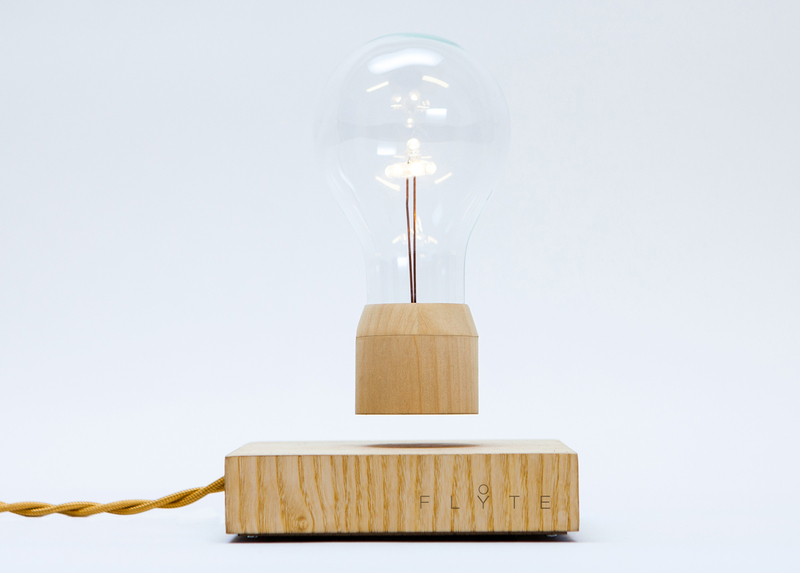 Simon Morris thought of this: so he made the bulb unbreakable. Like any lamp, Flyte must have an on switch to turn the light on and an off switch to turn off the light. But where’s the button? Na, there’s none! Elegant, eh? A touch of the base and the magic happens. 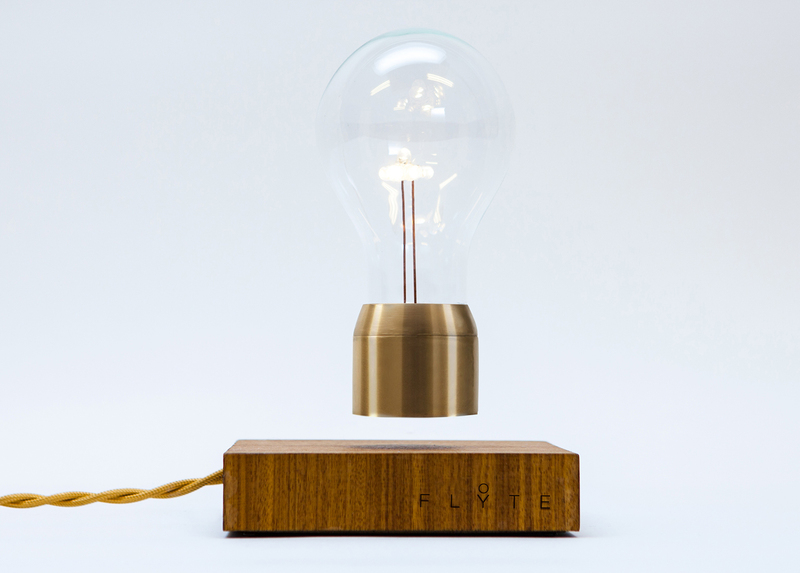 Like candles, Flyte is a light source that brings excitement to the air. Perhaps a subtle reminder that there is more to the eye than what we can see. Invisible forces that keep the world in order, which we humans are only beginning to understand. Forces that are revealed to us as through the “keyhole”. You might think that Simon Morris is a genius of science. 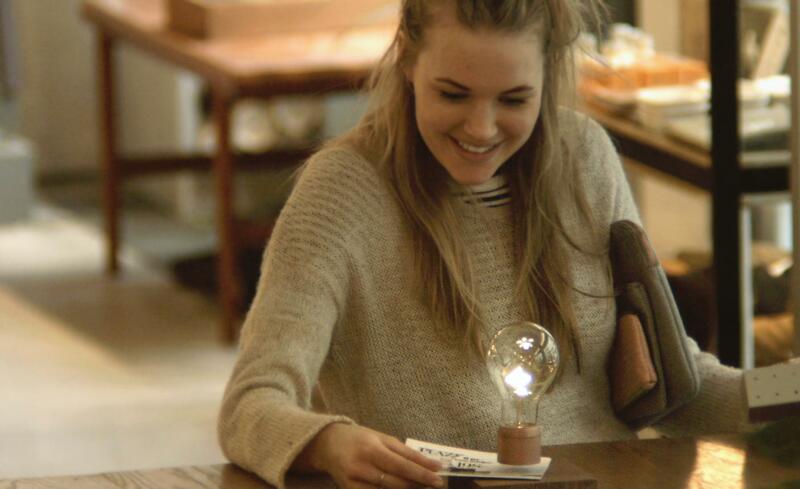 You could say a light bulb that levitates is a damn sophisticated invention. That may be so, but Simon Morris did not invent the technology used by Flyte. LED bulbs have been on the market since the 1970s. They are no longer a surprise. Their low power consumption makes them suitable for wireless powered devices. 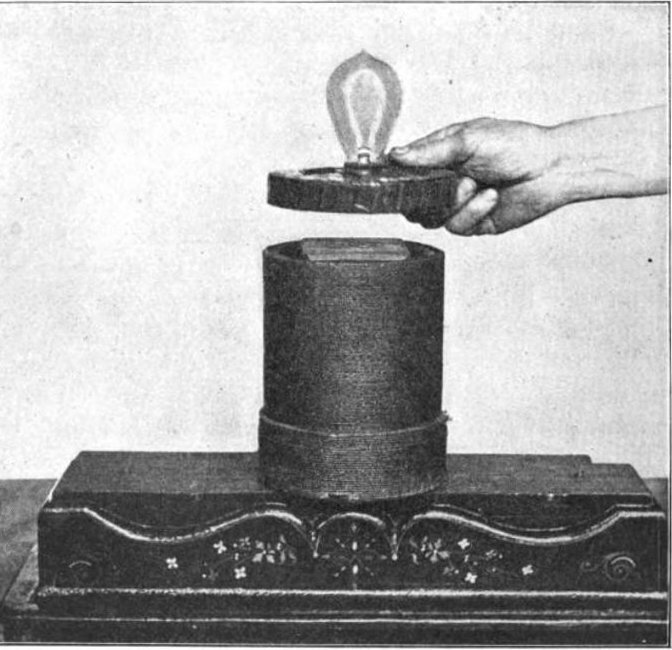 As incredible as it may seem, the wireless transmission of electrical energy was known to be possible for over a century. Nikola Tesla has been playing with wireless power transfer since 1891 1)”Wireless Power 32 Success Secrets – 32 Most Asked Questions on Wireless Power – What You Need to Know” by Nancy Horne, book published by Emereo Publishing in 20142)”Experiments with Alternate Currents of Very High Frequency and Their Application to Methods of Artificial Illumination” – lecture given by Nikola Tesla at American Inst. of Electrical Engineers, Columbia College, New York, on May 20, 1891. There are even more methods to do it, such as direct induction (the most common), magnetic resonance induction, microwave electromagnetic radiation form, or lasers, etc. Today, there are devices on the market that are equipped with the wireless charging feature, such as phones, laptops, etc. In fact, the base of Flyte can power any compatible device – put the lightbulb aside and you can start charging your cell phone. There are also several solutions for touch switches. 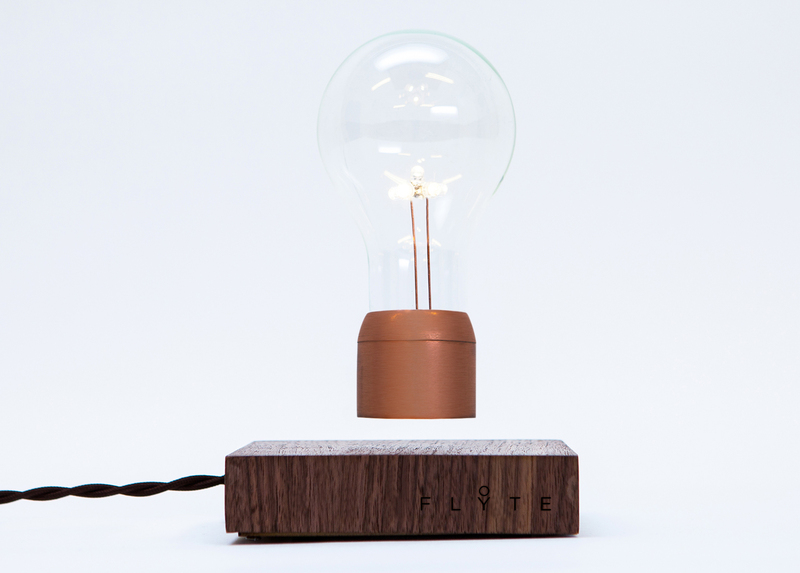 Flyte has a capacitive switch, which detects the touch of any conductive object, usually a finger. The principle is the same as in most touchscreens, just that there are many such switches, available in an array. Not even magnetic levitation is a new concept. In this case, you can’t use natural magnets as the energy bulb and receivers are too heavy. Seeing as the base of Flyte has to be plugged in anyway, this problem is solved with sufficient electromagnets that thrust upwards, but also ensures stability. Sure you could have. But you didn’t. Many inventions could have been created by others rather than those who created them first. But that spark of genius lies in: Observing what people want and putting together several ideas to make their wishes become a reality Really do it, don’t only think about it. Simon Morris is a very good designer. He created a spectacular concept. Although, the first version is not perfect, the concept can make history. Series production has not yet begun. And might not even start anytime soon because Simon Morris isn’t the type who has a lot of money to burn. What does the modern man think when he stumbles upon a great idea, but does not have the financial resources required to put the idea into practice? He calls crowdfunding. “Democratic funding”, worldwide. Flyte currently has two basic models, which are made out of several types of wood. But if demand grows, it wouldn’t be surprising if the models vary even more. Of course, Simon Morris’ priority is to start mass production of Flyte. It’s what he wanted, but he also has to honor many promises. But this is only the first step. He already has plans for other levitation-based products, which have not yet been revealed. As enthusiastic as the reactions of many have been, he has every reason to develop his ideas. Such a “corridor” should not be missed. Young Simon had a dream. Back then it seemed like science fiction, but now it becomes a reality. Because he persistently believed in it. We thank Simon Morris for the photo/video materials showing his extraordinary creations, which were used to illustrate this article.